Da Hong Pao Tea is one of the highest quality Chinese oolong teas and is known for its long history and royal reputation. This oolong tea comes from the Wu Yi Mountains in the Fujian province in China, where the best oolong teas are grown. This tea is composed of beautiful downy buds and one or two leaves. These leaves are tightly rolled and present a greenish brown color. Considered the King of Teas, its rich orchid aroma and wonderful long lasting taste make this high quality tea one of a kind. Come and taste one of the finest Chinese oolong teas! Da Hong Pao tea is one of the highest quality oolong teas produced in the Fujian province in China. More precisely, this tea grows in the Wi Yi Mountains and thus is known as a Wu Yi Rock tea, because it receives its mineral "rock taste". Using young shoots with well-developed buds, this tea is essentially made up of long twisted shoots that are tightly rolled. Da Hong Pao tea is a semi-oxidized tea to 40% resulting in large dark green leaves with brownish tones. What is the History of Da Hong Pao? Also known as Big Red Robe, the Chinese translation for Da Hong Pao, but you may also find it under other names, such as red hood, large red robe or great red cloak depending on the translation. There are many legends behind the name of this oolong tea, of which these are the two most famous ones. The first legend speaks of a scholar who was on his way to the capital to take an imperial examination. Unfortunately he got seriously ill and was forced to stay in the Tian Xin Temple where Buddhist monks helped to restore his health by giving him some of the local tea. The scholar went on to pass his exam, some say he was the best, some say he was actually the only one to pass the imperial exam and for this he got a large red robe. To thank the monks for their kindness he presented them with the large red robe with which to cover the tea bushes and thus the tea received its name. Another legend tells the story of the mother of a Ming Dynasty emperor who got sick and was healed by drinking this tea. To show his gratitude, the emperor sent large red robes to cover the bushes from which the tea was taken. Whichever story is true, one thing is certain, the original tea bushes date back quite a few centuries and were first harvested by monks to make a medicinal tea highly valued for its healing properties. These tea bushes produced such high quality tea that Da Hong Pao tea received royal recognition. It was considered the King of Teas and only honored guests were to enjoy a cup of this wonderful oolong tea. Today few of the original tea bushes are still alive. People come to visit these venerate tea bushes much like a tourist attraction. Since 2006 tea picking is no longer allowed from the ancient tea bushes for preservation purposes. So Da Hong Pao tea today comes from tea bushes that were the result of plant reproduction using clippings of the old tea plants. These offspring bushes produce tea of a similar grade, but much more affordable, as the original tea would auction at tea markets for more than the price of gold. 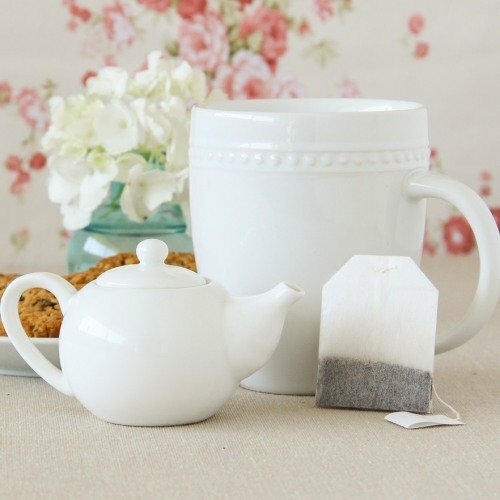 Your daily cup of tea could become quite an expensive habit. A semi-oxidized tea such as Da Hong Pao tea has to go through several stages to result in a high grade tea which is aromatic and wonderfully flavorful. Let’s take a quick look at the processing of this tea. Withering - the highest grades of this tea are harvested for only a few days out of the year and then are spread and left to wither in the sun. This allows for water to evaporate and oxidization to begin. Bruising – leaves are shaken to further oxidation. This helps to remove bitterness and balance the flavor of the tea leaves. Oxidization – Leaves are allowed to rest as oxidization takes place. This particular oolong tea oxidizes to 40%. The leaves begin to change color from green to a reddish color as the cell structure of the leaves breaks down. A fruity and flowery taste begins to develop. Fixing – the leaves are hand-pressed in a hot pan and baked. This step stops oxidization so that it remains an oolong tea. Rolling – it is time to roll or twist the leaves into their shape. This twisting process helps to enhance the flavor even further. Drying – Using the sun, pan heating or hot air, this step stops any oxidation and helps preserve the tea leaf. Firing – The final step to Da Hong Pao tea involves roasting the tea leaves with traditional charcoal or modern electric heat giving the tea a smoky and fruity flavor with a long smooth aftertaste. This oolong tea is rich in polyphenols, a natural antioxidant that accounts for many of the great benefits tea has to offer. Also Da Hong Pao tea may help provide vitamin C when you most need it. Let’s look at the benefits that this oolong tea provides. Eating too much or a sluggish digestion may lead to painful indigestion, bloating and intestinal problems such as constipation. This is when we crave a cup of tea the most. A good warm cup of Da Hong Pao tea is not only comforting, but it is also quite helpful. Antioxidants and caffeine help improve your metabolism, making your stomach process food better and faster. This oolong tea helps to maintain your stomach healthy and at the same time breaks down food so that your intestines have an easier time absorbing nutrients and getting rid of wastes. Improving the rate of your metabolism by drinking oolong tea on a regular basis may be a great way to start losing excess weight. Eating healthier foods and at the same time drinking tea helps your stomach to work properly getting rid of fats and other unwanted wastes. At the same time, caffeine in tea will help give you a boost of energy to start doing regular physical exercise to help you get in shape faster. Drinking tea on a regular basis may help improve your heart health as polyphenols in tea are said to help lower bad cholesterol in your blood. Da Hong Pao tea may also help prevent the buildup of plaque on the arterial walls and so help prevent coronary heart disease. If you have had previous heart disease, take note that this is a moderately caffeinated tea and that you should seek the advice of your doctor before drinking any tea. This Chinese oolong tea contains a moderate level of caffeine that may help you stay alert and focused throughout the day. Caffeine in tea is released slowly into the blood stream and last longer when compared to the burst of energy you get from coffee. At the same time, tea also possesses an amino acid, L-theanine, which calms the mind and soothes the nerves. This is how tea is both soothing and energizing at the same time. Why is it that when you are ill you seek the comfort of a hot cup of tea? A sip and you begin to feel better, a cup or two of hot tea and things seem to regain their balance. Right? A good cup of tea does more than just comfort you in time of need, it provides you with minerals and vitamins that you need to help fight disease. At the same time, antioxidants in tea may help to build up your immune system and regenerate your defenses against future illness caused by viruses or bacteria. Though further study is needed, tea may help prevent damage at the cellular level that causes cancer. Antioxidants help the body fight the free radicals that cause tumor growth. The antioxidants present in this tea are essential to counter the effects of premature aging. Drinking Da Hong Pao tea on a regular basis may help do away with dark spots, roughness of the skin, even a few wrinkles. Tea is said to be helpful reversing the aging process because the high amount of antioxidants that are particularly high in oolong teas, help fight environmental stress and pollution that can have toll on your skin. These are some of the reasons to drink Da Hong Pao tea on a daily basis. Learn about what benefits are common to this type of tea in this article about oolong tea benefits. Purchase your Big Red Robe Tea today! Level of caffeine in tea varies depending on harvest and growth conditions of the tea bush. Is the tea primarily composed of young buds or larger older leaves? There are many aspects to consider. Da Hong Pao tea contains a moderate level of caffeine like other oolong teas. While caffeine may be beneficial for you, too much may cause some unwanted side effects. If you are sensitive to caffeine you may experience headaches, nervousness and difficulty sleeping. Try drinking less tea or not drinking it before going to bed. If you are pregnant or breastfeeding, even moderate levels of caffeine may be too much for you. Talk to your doctor about how much tea you may drink during this stage of your life. This is a high quality tea that is quite easy to brew. By following a few simple instructions you may enjoy cup after cup of this wonderful tea. So let’s take a look at how to brew Da Hong Pao Tea. Traditionally Da Hong Pao tea is brewed in a small yixing teapot or a gaiwan. The idea is to brew this tea in a small enough vessel so that you drain all the tea with each steep. Consider serving your tea in white cups so that you may fully experience the wonderful color of this tea. This tea requires about 1 1/2 to 2 teaspoons per cup of water (approx. 250ml). In a tiny teapot this may end up filling it half way up. Place the tea inside the brewing teapot or gaiwan. 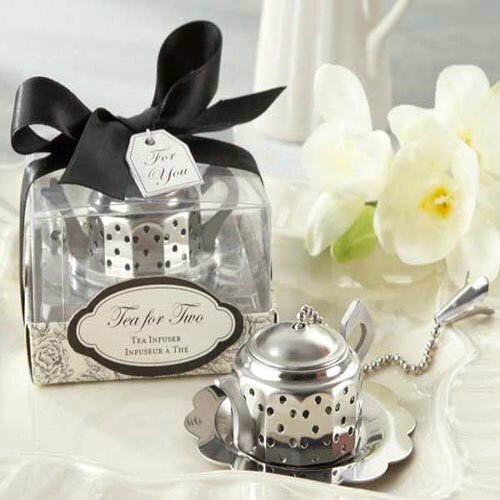 To quickly rinse the tea, pour hot water onto the leaves, let rest for about 5 seconds and then discard the water. The intention is to help open the leaves, not begin brewing them. Now bring water to the right brewing temperature, which is about 90ºC to 95ºC (194ºF to 203ºF) or just under boiling. Pour the water into the teapot or gaiwan. This is a quick tea to brew so consider using a good precision timer, but a watch that displays seconds or your smartphone may be good enough. For the first and second brew, steep your tea for about 1 minute. A good quality Da Hong Pao tea will be able to be rebrewed a few more times, but to do so you must fully drain the teapot each time to stop the tea leaves from brewing. With each additional brew, add 30 seconds to 1 minute to brewing time to achieve the same flavor. You may adjust this time and amount of tea leaves as you become more familiar with this tea and wish for a stronger or weaker tea. This is a beautiful tea with a bright orange color, resembling peach, and has a distinctive floral and woody aroma. When you first taste this tea you feel its mellow flavor, fruity, toasted and sweet with a slight feeling bitterness and acidity. It is said that this tea is long lasting, because it leaves its wonderfully smooth aftertaste in your mouth for a long time. Pair this tea with grilled fish or tofu, or enjoy it as a treat with your deserts as the floral notes of Da Hong Pao tea will blend well with praline and such sweet flavors. Buy Your Da Hong Pao Tea Today! 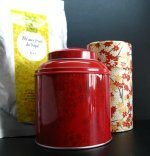 Click on the image or on the link below to purchase from Tea Vivre your Organic Da Hong Pao (Big Red Robe) Oolong Tea. This oolong tea has a soft and mellow nutty flavor with floral notes. Brew a wonderful Chinese tea and watch as the big long leaves open in your teapot for your pleasure. Let’s enjoy a cup of this Chinese oolong tea. Da Hong Pao or Big Red Robe tea is quite rare and unique and should be a part of every tea lover’s collection. Taste the King of Teas!